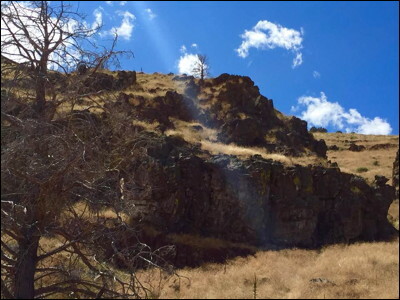 This ancient Modoc rock writing site is one of several along western shore of Tule Lake. The first two photos show the ridge and the rock shelter, and the rest are of the painted images. All of these photos were taken on August 8, 2016.